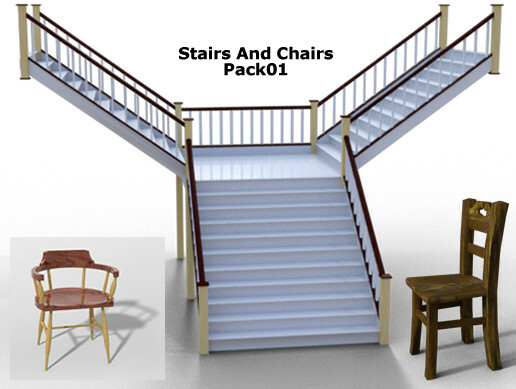 A selection of Straight, Left/Right and Tee shaped stairs, complete with collision helper meshes. A wide variety of Chairs for all corners of your kingdom. Bonus, 6 Coffee Tables in a selection of supplied materials and inlays.